If you, like this blogger, enjoy deconstructing the capitalist ideology behind zombie flicks instead of socializing with real human beings, there is a new call for papers with your name on it. The topic is zombies, and the deadline is September 30th. Does it suddenly seem like the living dead are everywhere? Lumbering past cyborgs, mutants, werewolves, and, yes, even vampires, zombies are the monsters du jour. Zombies have taken up residence in the pages of fiction (literary hits such as Colson Whitehead’s Zone One, The Walking Dead comic books, pulp zombie apocalypse narratives such as World War Z, and young adult fiction such as Warm Bodies) and inhabit our various screens, from television shows such as AMC’s ubiquitous The Walking Dead, to movies (from 1968’s Night of the Living Dead to the more recent 28 Days Later, I Am Legend, and Shaun of the Dead), and video games (Resident Evil, Left 4 Dead). We have zombie runs, zombie computers, Nazi zombies, and zombie banks. Even zombie strippers and zombie studies. They have come from space, from nature, from biotech labs, and the dark recesses of the globe. They even have their own CDC website and inhabit a growing area of scholarly debate over the status of philosophical zombies. We’re seemingly surrounded by the living dead. 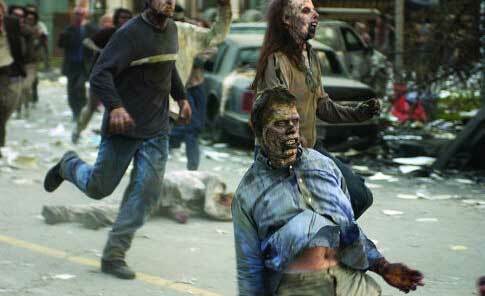 What are zombies and why are they now so prevalent across both pop culture and academia? The Journal for Cultural and Religious Theory proposes a special issue to critically examine the resurgence of interest in the zombie as a cultural and political figure. We invite papers from across the disciplines that explore diverse aspects of this vibrant cultural phenomenon and address the current popularity of the living dead. Completed papers must be submitted by September 30, 2013. Authors will be notified of acceptance by November 30, 2013. Projected publication: Spring, 2014. Please submit papers to dweiss@ycp.edu. Submit electronic copies of completed papers (3000 – 6000 words). Abstracts cannot be considered. Papers will be subject to a double blind review by a selection committee. Include your name, paper title and contact information on a separate page. Include the paper title but not your name on a header or footer on each numbered page of the paper itself. The papers must be previously unpublished in any format. The Journal for Cultural and Religious Theory is a peer-reviewed journal devoted to both disciplinary and interdisciplinary scholarship of a cutting-edge nature that deals broadly with the phenomenon of religious and cultural theory. Subfields include, but are not limited to, philosophical and cultural theory, theological studies, postcolonial and globalization theory, religious studies, literary theory, cultural studies, ethnic, area, and gender studies, communications, semiotics, and linguistics. No term papers, religious advocacy pieces, unsolicited book reviews or opinion pieces, etc. will be considered. The Journal is FREE of charge, is published three times a year (Winter, Spring and Fall). All manuscripts submitted, or revised, for publication must be in Microsoft Word format. No hard copies of manuscripts will be accepted. The Journal for Cultural and Religious Theory uses the Chicago Manual of Style for all published reviews and articles.